This package was heavy on the clothes. C will be receiving 6 tops and 3 shorts/lightweight pants, and two pairs of socks. The green onesie that looks washed out in the photo is very adorable. There is a little martian and underneath it says “Hello Earth.” Too cute. We hope that we might receive some of these clothes back when we pick up C because it would be the icing on the cake to see him IN PERSON in these clothes we picked out just for him. J really, really wanted to find some toys to include, but we have sent over so many toys I really don’t think C needs anything else to keep him entertained. Plus, so many of the toys which are made for his age range are way too big to fit in a one gallon size bag. Not to worry, C has an abundance of toys waiting for him already at home. More on that in an upcoming room post. We also included some toddler snack puffs as we anticipate having these around the house when C arrives. We thought it might be helpful if he had a taste of home while in Korea so at least one thing would be familiar. I won’t kid myself into thinking my recent dabble into Korean cuisine will live up to the real deal made by his foster mom. 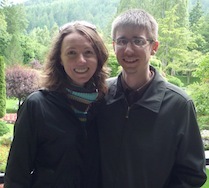 We are hopeful we are nearing the end of our long, 13 month wait to pick up C! 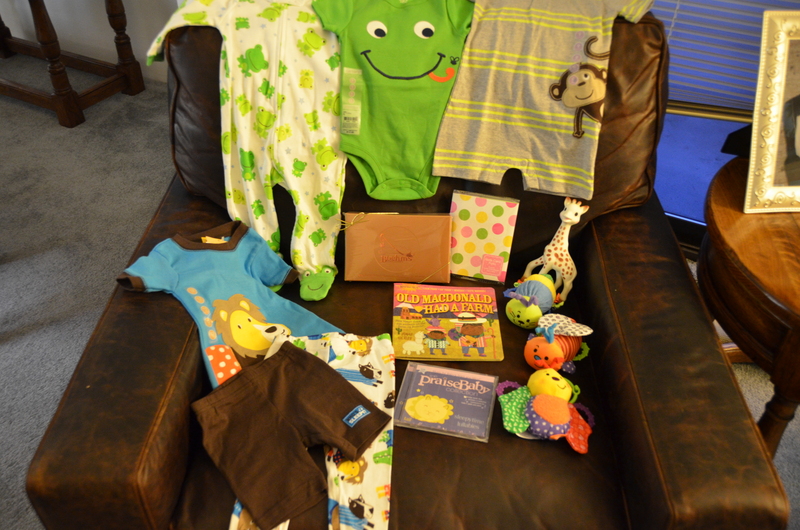 Our sweet little boy turns 16 months old this month and a few days ago C received his sixth care package from us. This package was actually assembled way back in October, but it sat at our adoption agency for about 6 weeks before being shipped to Korea. From there it has been at ESWS for close to a month just waiting for C to have it! Since our update at the time of compiling our package mentioned C knows how to turn pages of a book, we made sure to include a fun animal book for him to enjoy. This one has tails of each animal that he can pull on and touch as he learns about all of the jungle animals he will see in his themed room once he gets home. If that wasn’t enough, we also sent over a counting “book” that makes noises with each turn of the page. 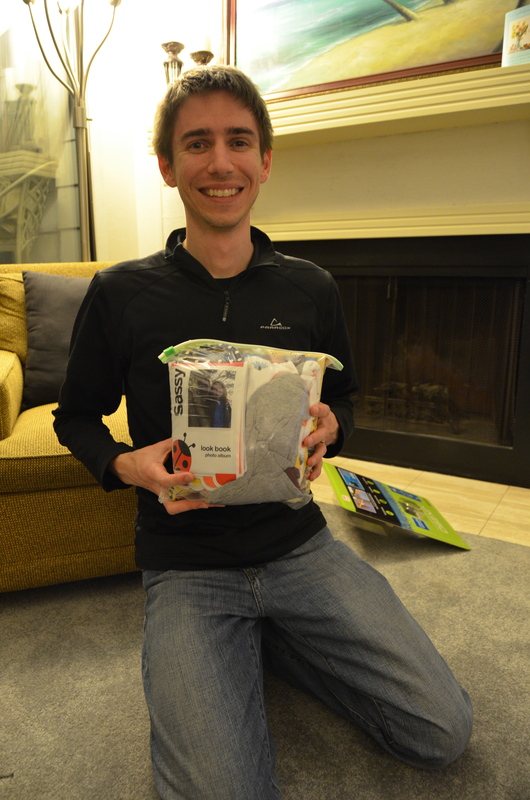 This most complicated thing I have knit yet were included in this package…socks! South Korea gets very cold in the winter, and I hope these little socks help keep him warm. Hopefully I get some great pictures of him wearing those socks. Each little knit and purl stitch was made while thinking of him. 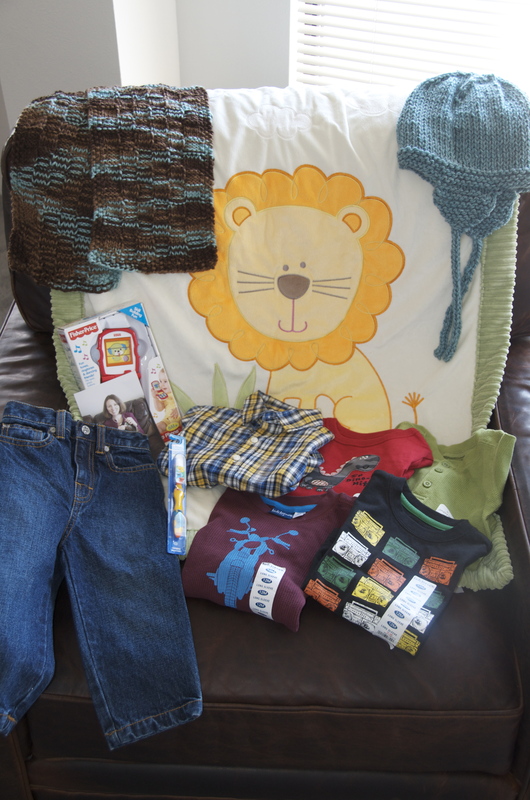 I have oodles of fun looking at clothes for C and this care package was full of some warm clothes for winter. 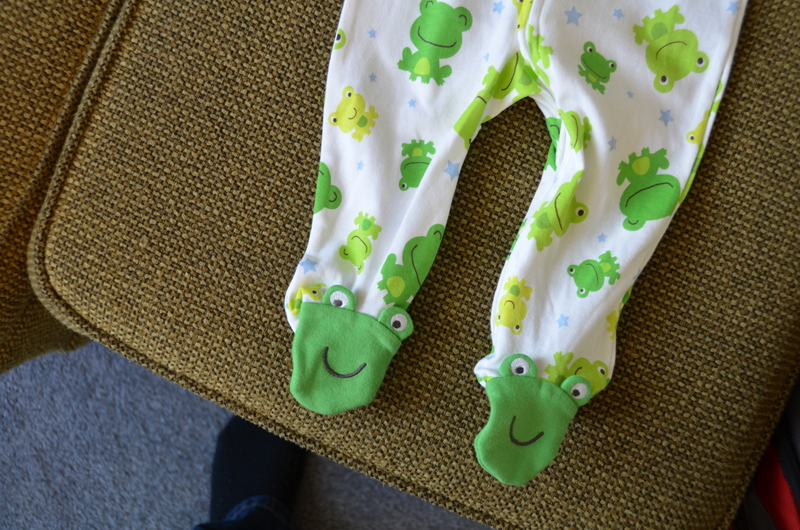 I absolutely love the little jammies we sent over, and I know C will like playing with the feet on these as I’ve seen him do in a picture we received of him. Of course no good Christmas package would be complete without some toys. C loves objects that make noise, and we think he will have lots of fun with these musical instruments. I think there’s enough here to keep him busy for awhile. Happy 16th months, little C! We love you! C’s fifth care package was a doozy! We fit in more than we’ve ever fit into a 1.25 gallon bag. Well maybe until next time that is! Our general process for making a care package goes like this. First we decide what types of things we want to send; usually this consists of one or two main things and then whatever else we can fit in. Next, if we don’t have enough things in reserve, we’ll go out and try to find clothes, toys, and other things which might go with the season and C’s development stage. Next we select which items make the cut for the package – sometimes clothes seem too big or too small or inappropriate for the upcoming Seoul weather, other times the shapes of things make it difficult to fit them into the same care package. After that, we lay out everything, take pictures, and K tells me that I won’t be able to fit everything into the bag. Then, I fit everything into the bag (I usually need K to help hold things down as we seal it closed), and we tape the opening and seams to make sure it doesn’t come apart. In our October/November package we’re including a few important things. The first is a blanket, which is one of the first things we bought for C. It came as a set with the lion. We’re hoping he likes to cuddle up in it, and have another one (or two) here so he can have something familiar when he finally comes home. K knit a hat and scarf for C which are also going over in this package. 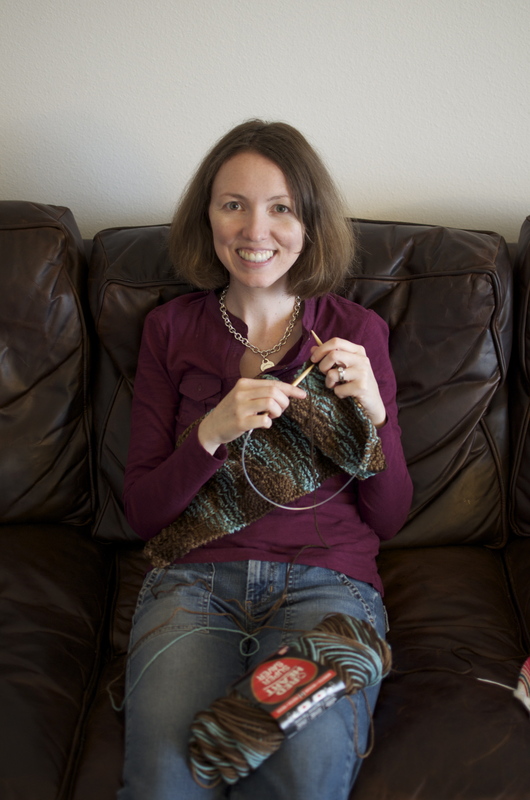 She just took up knitting this summer and C was the inspiration her first two projects. It gets pretty cold in Seoul over the winter, so we hope these will help keep C warm. 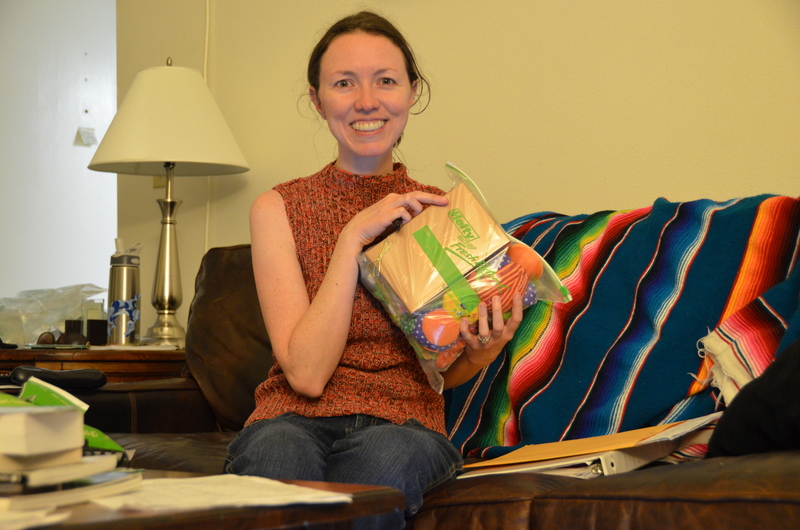 We also included a picture of K knitting to show these were made with love. C’s getting a bunch of clothes. A few t-shirts, a thermal shirt, knit shirt, and a button down. We’re also sending over a cute pair of jeans. Every checkup has reported that C has more and more teeth so we thought it was important to send a toothbrush. We’ve since seen that he’s chewing on one while teething, so his foster parent’s probably have things covered, but we just want to make sure he has everything he needs. Finally, we had to get at least one toy in there. We sent over a toy flip phone. I’m sure there’s several very important phone calls that C has to make. This was the fullest package we’ve put together. C will only be going in for checkups every other month from now on, though, so it was important to get as much in for winter as possible. This is likely the last package he’ll get before Christmas. I know, I know…TWO care package posts in a row. But we haven’t received any updates on C so we are putting our energy into buying stuff for him. I am assuming that we will get to keep some of these items when we pick him up (can any of you shed light on that? 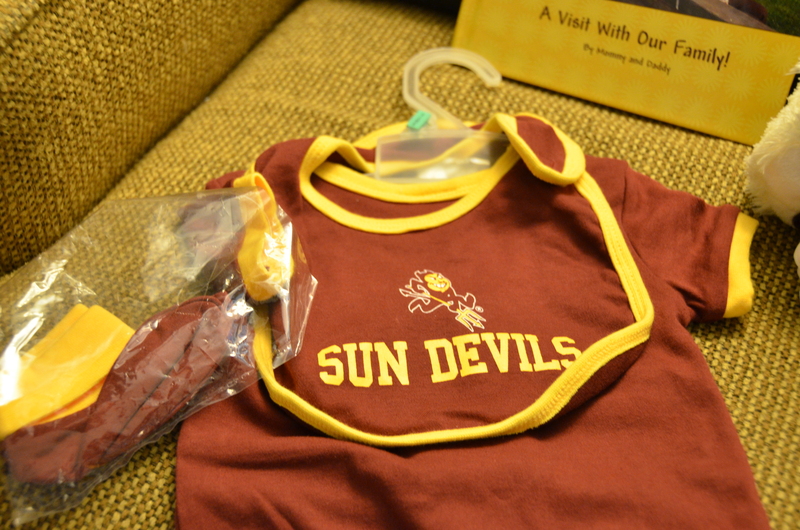 ), but either way we hope he enjoys them for the time being and that it will help the foster family out as well. This care package will be going over with a family we “met” through a message board of adoptive parents. They are expecting their travel call within the next few weeks! Shortly after we assembled and shipped this care package we found out we can no longer give gifts to the foster family, so for now the few items we squeezed into this package will be the last items for them until we can pick up C. We included some blank cards and some chocolate from a local candy shop for them to enjoy. Since we haven’t received any updates since the referral (wait…have I already mentioned that? Not that I’m conscious of it or anything!!) it is a bit challenging to gauge what size he is wearing, but all of the clothes we are sending over in this package are for 9-12 month old babies, and since he is turning 9 months in only a few weeks we hope he will get good wear out of them over the next few months during Korea’s warm summer months. One of my favorite outfits we sent over is a cute little lion short sleeve shirt with matching brown shorts. If he feels the need to change his ensemble for dinner time, there are some pants he can wear instead. 🙂 We also sent over a green sleeper with the cutest little footsies. I can just imagine him crawling in this number. How I would love to play “one little piggy went to the market…” with his toes him before putting this on him. 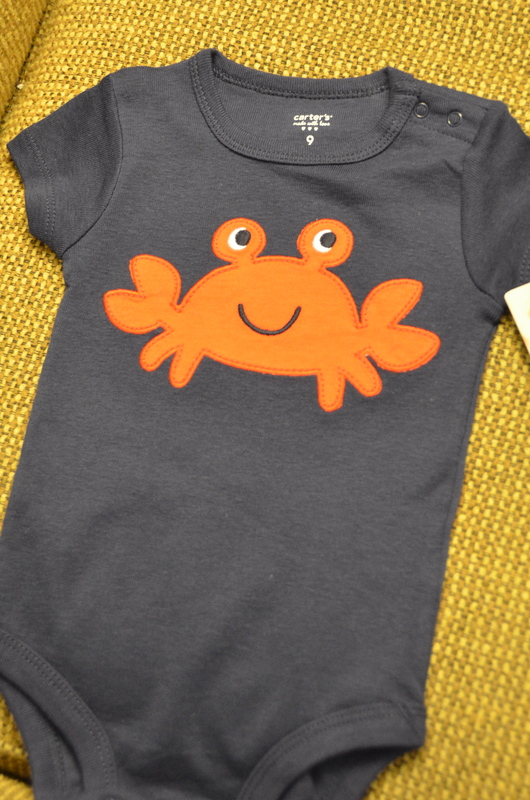 We also scored an adorable green onesie. If I was with C and putting this on him I don’t think I could resist tickling his little tummy. I just thought it was so cute. 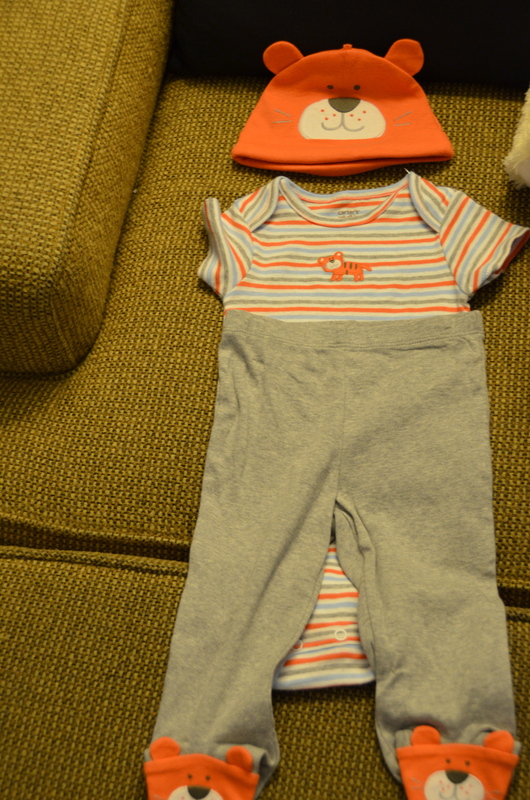 Finally, we found a handsome little outfit with a monkey peaking out on the front. As C is getting older and exploring his new world, I can imagine him peeking around a corner once or twice like this little monkey. 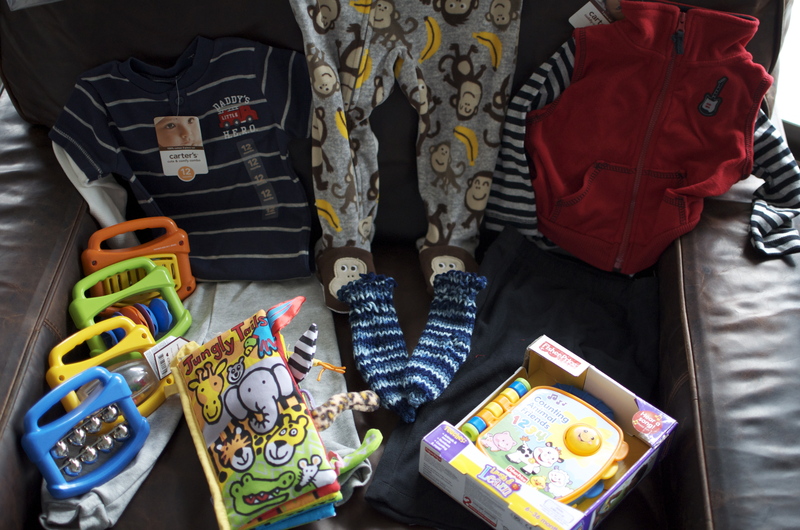 Our first care package included LOTS of clothing, so we loaded up on toys for this package as well. We got a great idea from a new friend who is also adopting a little boy using our agency and received their referral in March. She suggested buying a CD of lullabies he can hear when falling asleep in Korea that we can also play to help with his transition when C gets home. After researching a few at A*mazon I settled on the Praise Baby CD of lullabies. They seemed soothing to me, so I hope C likes them, too. In the city we live in, the Sophie teether seems to be the “it” item of the moment. It is made of natural products and is supposed to be safer than the average toy for baby to use while teething. It also makes a squeaky noise when squeezed that babies should love. 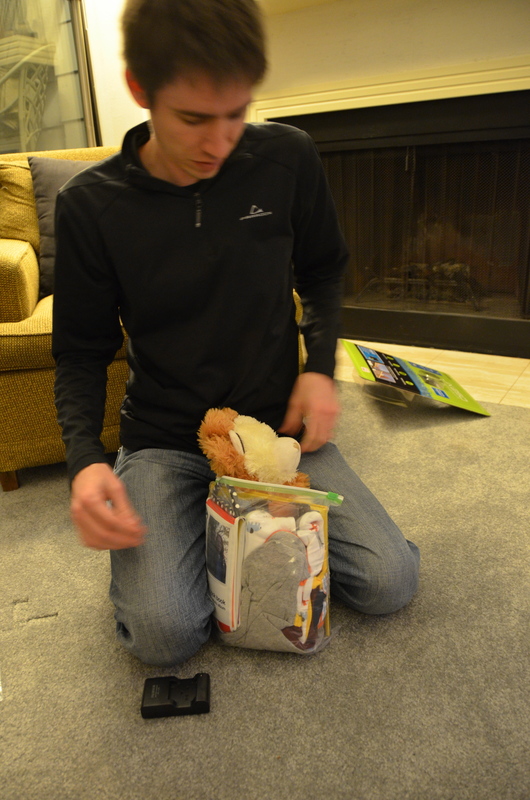 We also bought him a Jonas Sickler baby book which is chew proof, rip proof, non-toxic, and even washable. They are wordless books and pretty short, but since we figure EVERYTHING imaginable is probably going into his mouth we would prefer the items to be the safest possible. Lastly, we purchased three textured toys that make different sounds and made of various fabrics for C to play with and explore. Although it was a lot of items, this bag was not nearly has full as our first care package. The bag closely easily this time and we probably had room to spare if needed, but knowing we aren’t limited to one care package anymore gives us a lot more freedom and we don’t feel as guilty using every last inch of space. Our first care package left for Seoul today and it will be delivered to Eastern sometime next week! So what do you get your son when he’s living 5,000 miles away and has never met you? What if all of it has to fit in a 1 gallon bag? Whatever you can fit, of course! Back in November, K posted about the book that we made, A Visit with Our Family. 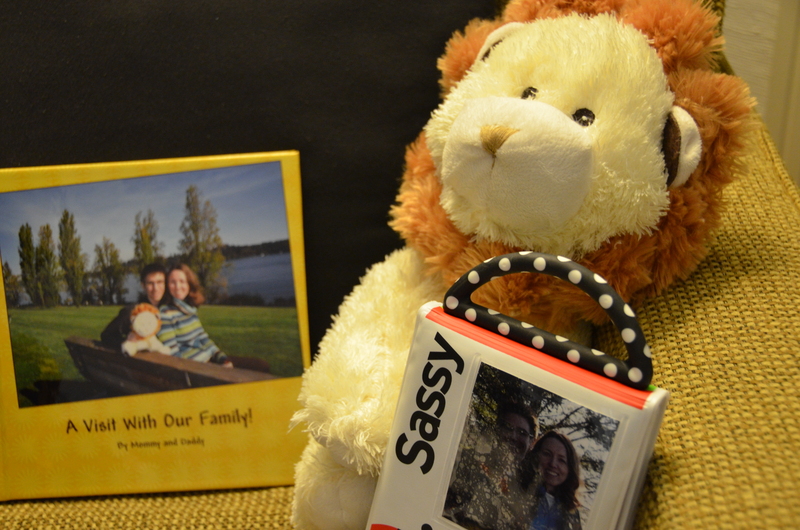 In every picture in the book is a stuffed lion, who made a Flat Stanley like trip around the country. Our Korean teacher translated the entire book for us, and provided us with the Hangeul for each page. We’ve read many accounts of kids loving the Sassy photo album. So we threw one of those in there. Next we have outfits! Three onesies, a pair of footy pants, and a pair of PJs.. Everything our little man needs to look studly this summer. 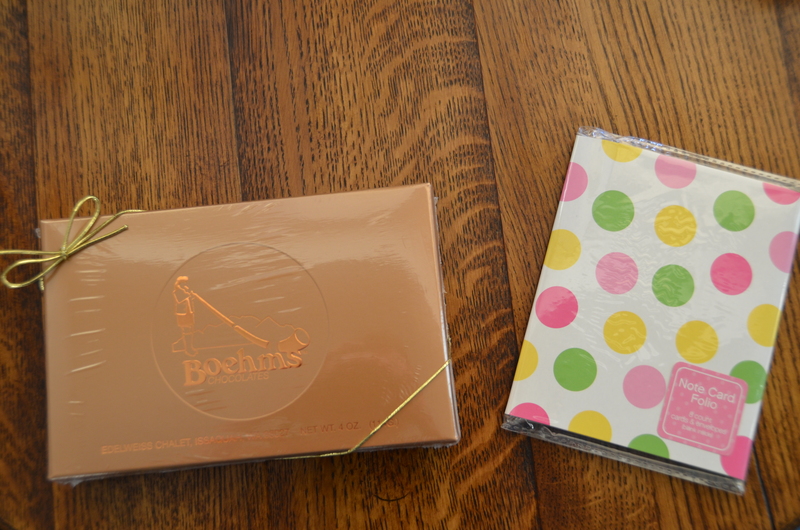 Finally, we have some presents for C’s foster parents. 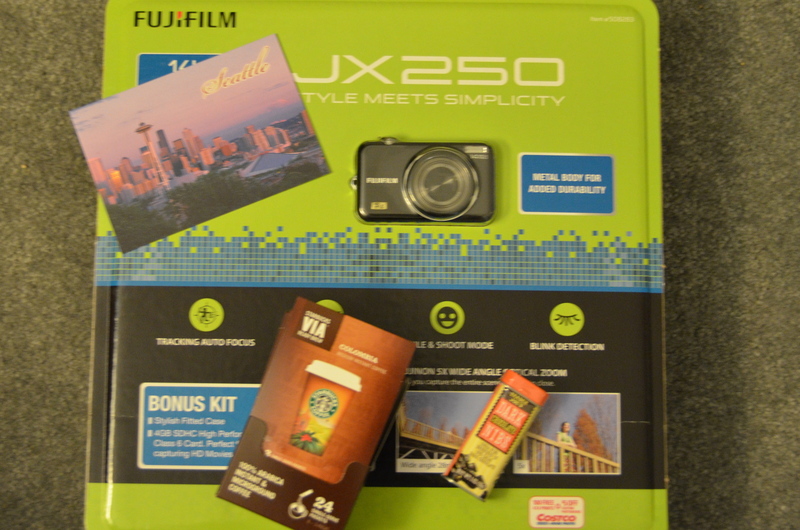 They are getting some Starbucks instant coffee, some chocolates from Trader Joe’s, a postcard of our city, a thank you letter, and a digital camera to take pictures of C with. These will be some of the last things we’re able to send the foster parents; we’ve been told we can no longer send them gifts or letters. It took me a while, but I was able to get everything in. And just in case you’re worried about the lion, we put a “test lion” inside a bag for a few weeks to make sure he’d make it out just as soft and fluffy as when he went in. If you’re in a similar situation, we’d highly recommend Hefty OneZip Fresh Extend bags. They are 1.25 gallons, and the extra room goes a long way.